Apple Watch: What’s the difference between the models? What’s the Difference Between Apple Watch Models? An Apple Watch with stainless steel link bracelet. Are any of the watch cases aesthetically superior in your reckoning to any others? Are any practically superior? How soon will you be replacing this watch? For how long a period of time will you benefit from the improved aesthetics of your preferred case? So, first: Are any of the cases superior to the others? It’s a rare buyer who wants to spend enough to get a gold case for the first version of this product line, in my estimation. For most of us, the choice is between the aluminum sport case and the stainless steel Apple Watch case. My experience suggests that the stainless steel case is much nicer-looking than the aluminum case. Apple’s excellent product photography minimizes the difference between them a bit in my opinion; in real life, the aluminum case is matte, dull, and looks rather ordinary, more or less like an old iPod mini or Nano. The stainless steel case is striking (without being ostentatious), approaches the physically beautiful, and is quite versatile. It’s definitely attractive enough to offset some of the gadgety-ness of the product. One way to put this: I’d happily wear the stainless steel case—swapping bands, perhaps—with either a T-shirt and jeans or a suit and tie at a formal event. I’m not sure the aluminum case is as flexible; it just looks very sporty and plain, and might not be as suitable in fancier settings. How sensitive you are to this concern will vary. I think it’s safe to say that for most of us, the stainless steel case has some practical and aesthetic advantages. Are these worth the roughly $200 increase in price you’ll pay over aluminum models? That has to do with your budget, your lifestyle and modes of attire, and how long you’ll wear the watch. So, second: How soon will you replace this watch? In my opinion, Apple Watch is very much a first-version product, perhaps closer to an MVP than Apple has been in many years. That is to say: You should expect that subsequent versions will have significant and even category-defining features that will be highly desirable to owners of the first version. Later versions will be thinner and more attractive, have better battery life, have desirable new features (for example, universal password elimination—see Apple Watch’s missing feature), likely have improved and even new sensors that may unlock powerful new health-tracking features, and so on. It is likely that you’ll want the next version. It may be one year away, or two, but in either case you should consider the roughly $200 cost of jumping from aluminum to stainless steel spread over that time and consider whether it’s worth it for you. It comes to about $8/month or $16/month depending on your predicted ownership term. If that’s “worth it” to you, go for the stainless steel. If not, grab an aluminum one and spend more on the more mature second, third, or later version that you intend to own for a long time. As for bands: There is a coming deluge of third-party options that will provide better choice and value than Apple’s options. To save money, you could order whichever case you like with a sport band and plan to upgrade to a third-party band later. Of course, if you love one of Apple’s bands, you’re all set. Apple Watch: What type of innovative apps will we see on the Apple Watch? Apple Watch in 2015: How much will an iPhone’s battery life be affected by a continuously connected Apple Watch? 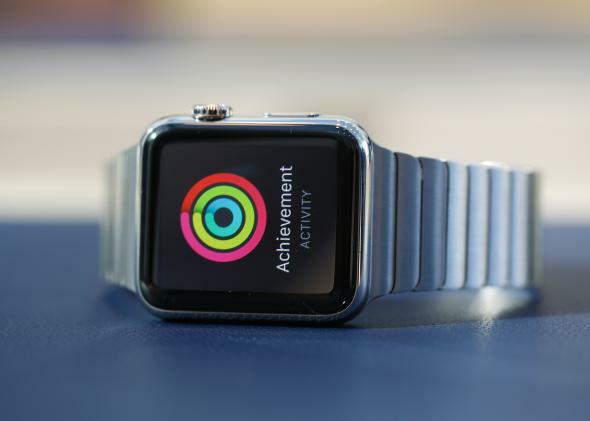 Apple Watch: What are the most realistic, everyday use cases for an Apple Watch?